The healthy leader is built in community. The healthy leader leads in community. 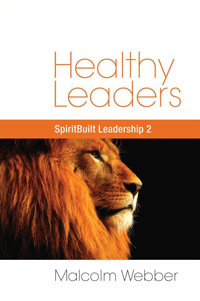 First, the healthy leader in built in community (Eph. 4:13-16). No healthy leader will ever be developed in a vacuum. The hottest ember grows cold in isolation. It is relatively easy to live victoriously when we are all by ourselves. The “spiritual lone ranger” is not tested as deeply as the man who lives in community. It is easy to be patient when no one is irritating us! It is when we come together that we have the opportunity to be patient, kind, forgiving and loving; to walk in servanthood and grace toward one another. As someone said, the Christian life would be easy if it weren’t for the devil and people! In reality, we only really mature and grow as Christians in the context of community. Jesus grew in community, subject to His parents and a part of the community around Him (Luke 2:41-52). Paul was built in community in the school of Gamaliel (Acts 22:3) and then in the church after he was saved (Acts 9:19, 27). According to church tradition, even the apparently individualistic John the Baptist matured in community. The healthy leader is built in community. We will return to this truth in a later Letter. Second, the healthy leader leads in the context of community (Rom. 12:4-8; 1 Cor. 12:12-27). He never grows to the point where he no longer needs vital relationships with others around him. Effective Christian leaders lead in a context of community – not as tough “ministry islands” off by themselves. In the body of Christ, no members are independent (1 Cor. 12). Jesus had friends and He needed them. Jesus needed their fellowship and support. He was grieved when they fell asleep in the garden (Matt. 26:36-45). Romans 16:1-16 mentions several of Paul’s “dear” friends and even a spiritual “mother” in verse 13! If Jesus, the Son of God, and Paul, the mighty apostle, needed friends, who are we that we don’t? It is not a sign of strength to be by yourself in leadership. It is a mark of weakness. Leaders need friends! These two points do not refer merely to an ideological commitment to “community” but to genuine, committed, nurturing and accountable relationships. As Dietrich Bonhoeffer wrote, “He who loves community destroys community. He who loves the brothers builds community.” The author has known people who loudly declared their great love for “New Testament church life”; it was people they were not too fond of! In our next Letter, we will consider the four kinds of community that the leader must be connected with.